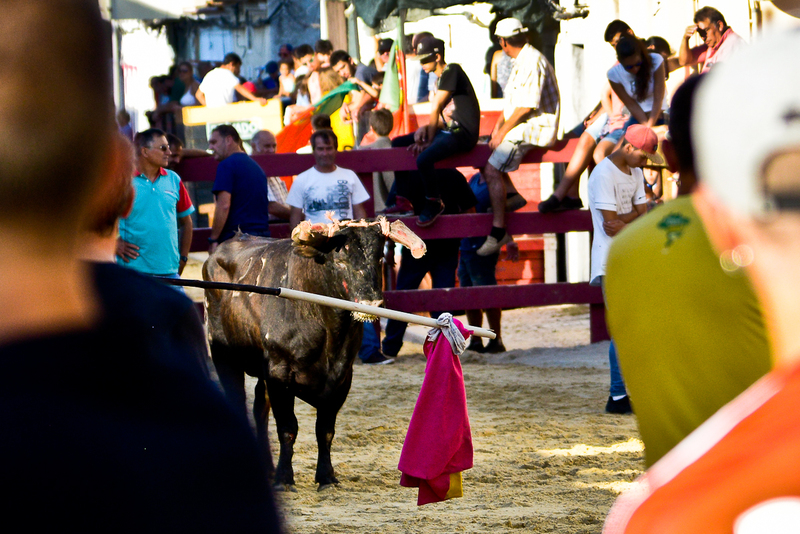 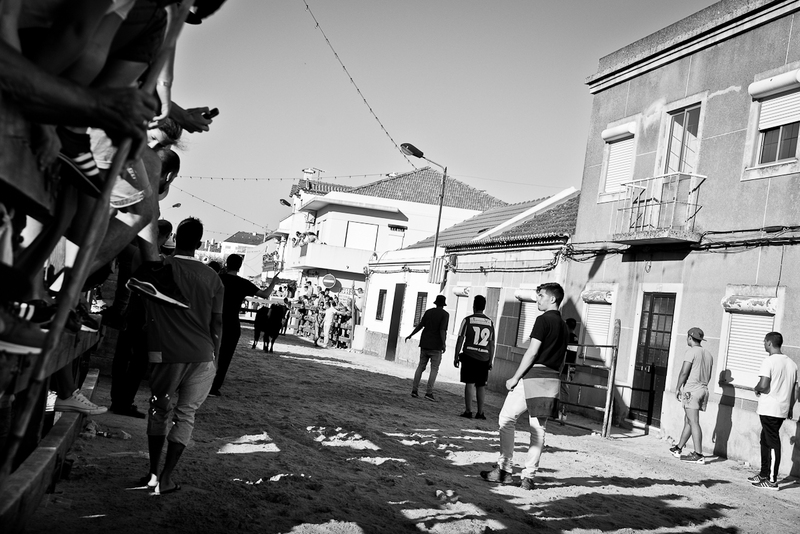 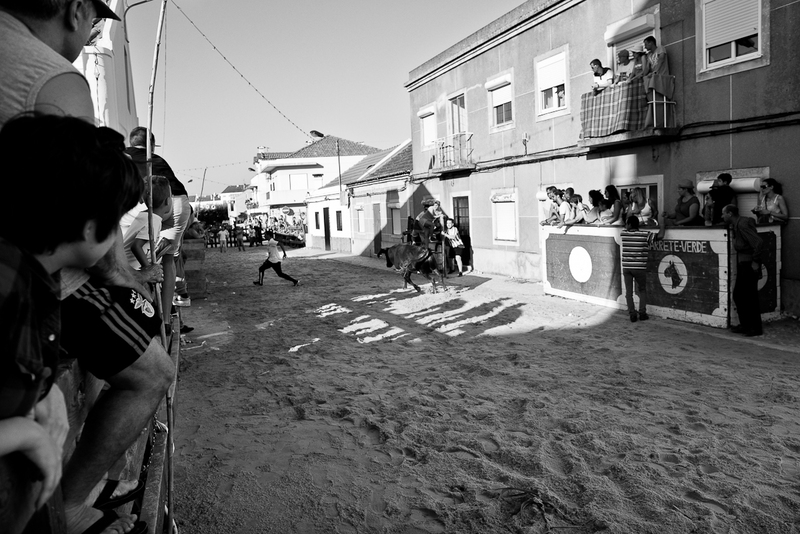 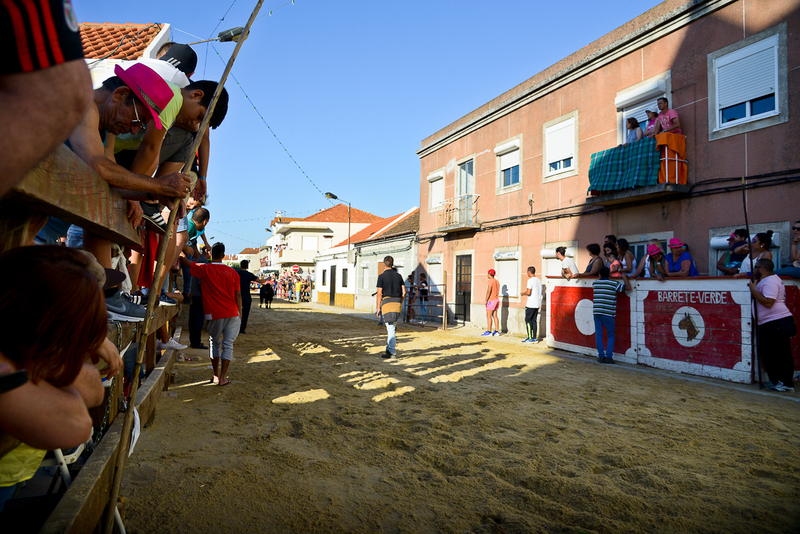 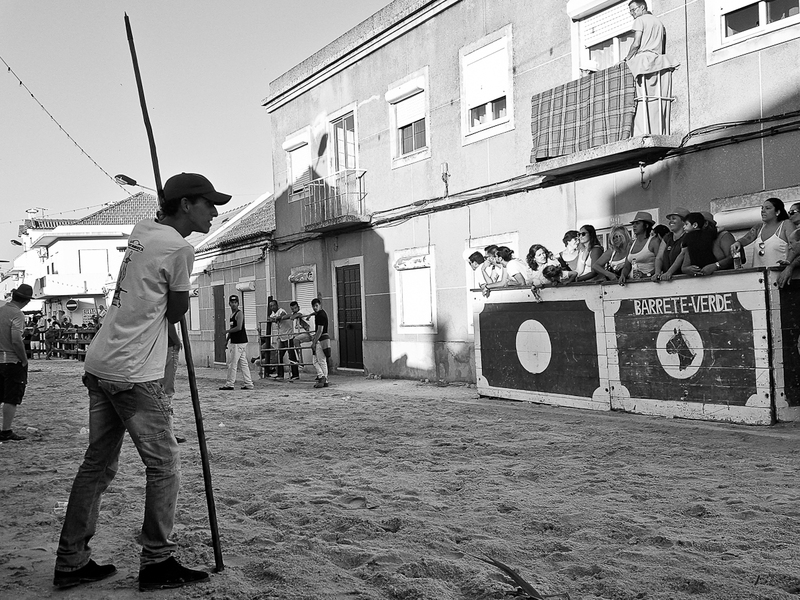 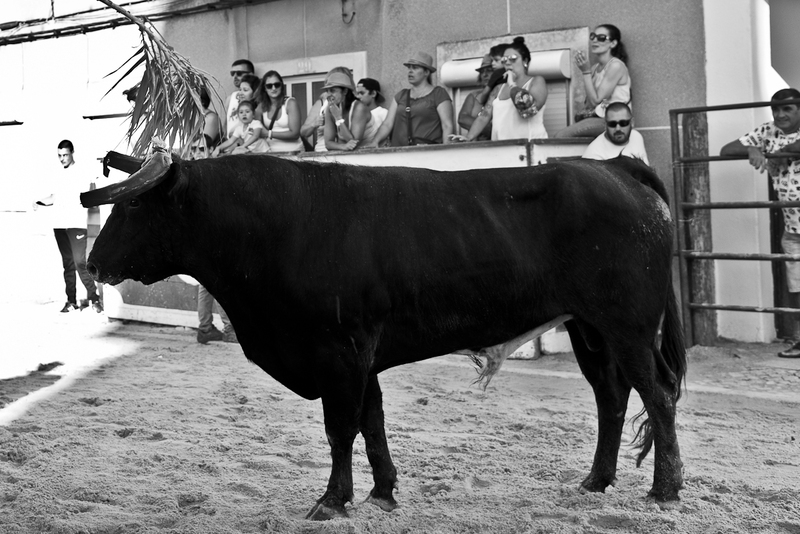 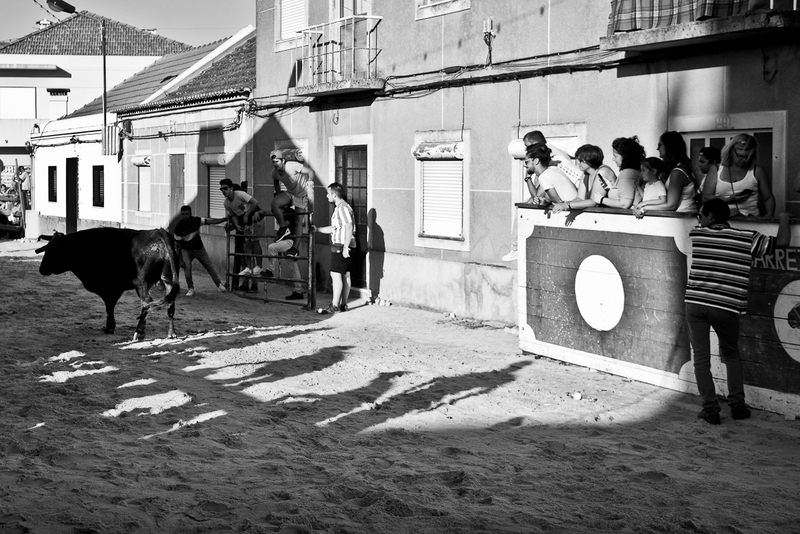 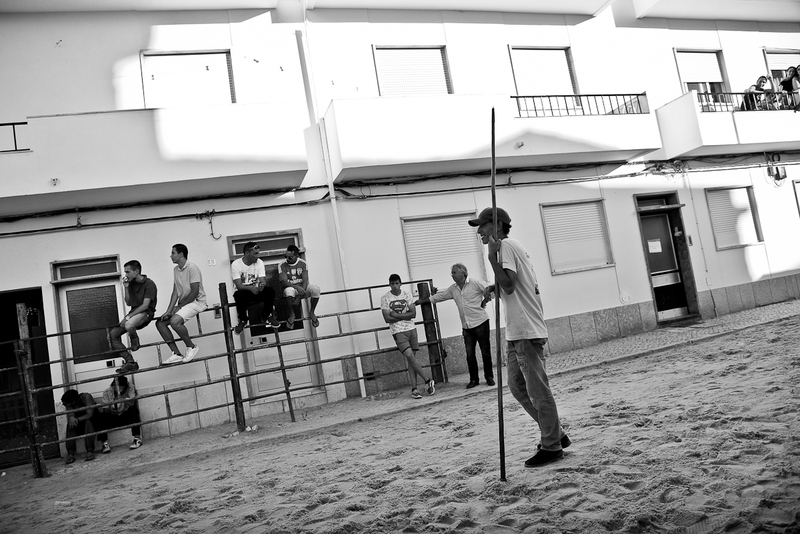 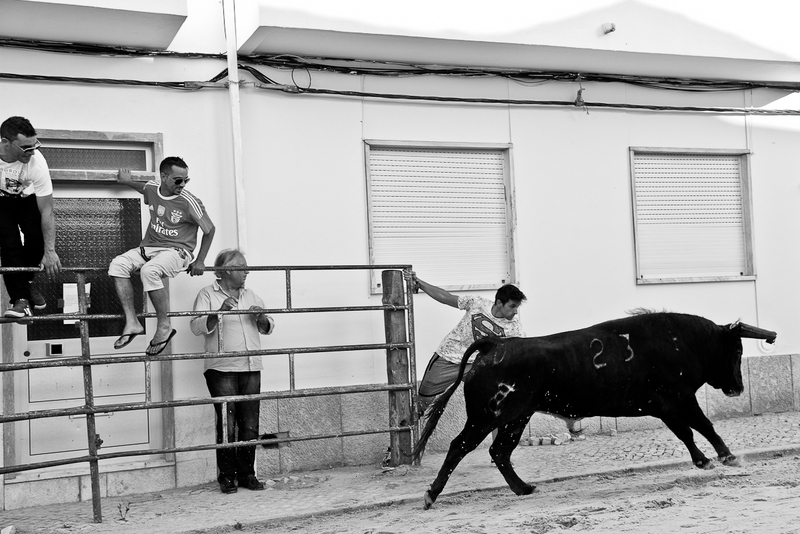 Largada de Toiros is a traditional festival in many locations in Portugal and also in some countries in Latin America. 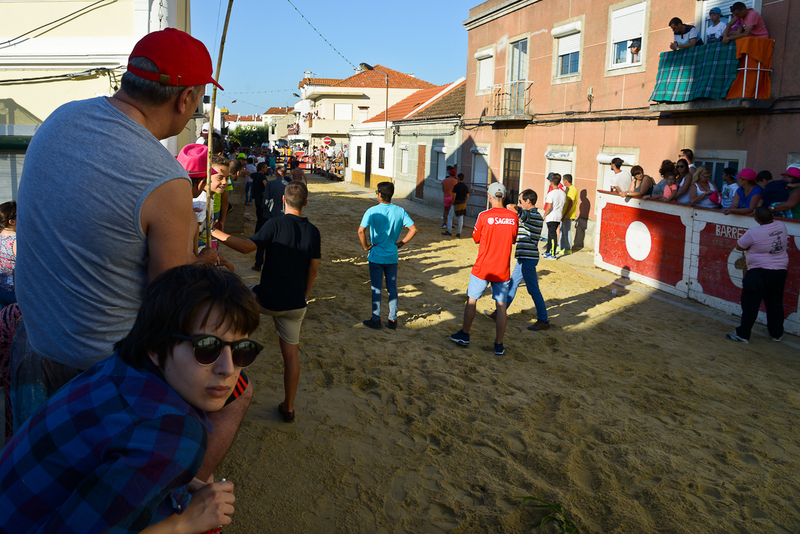 The town's streets are closed for the traffic and covered with sand. 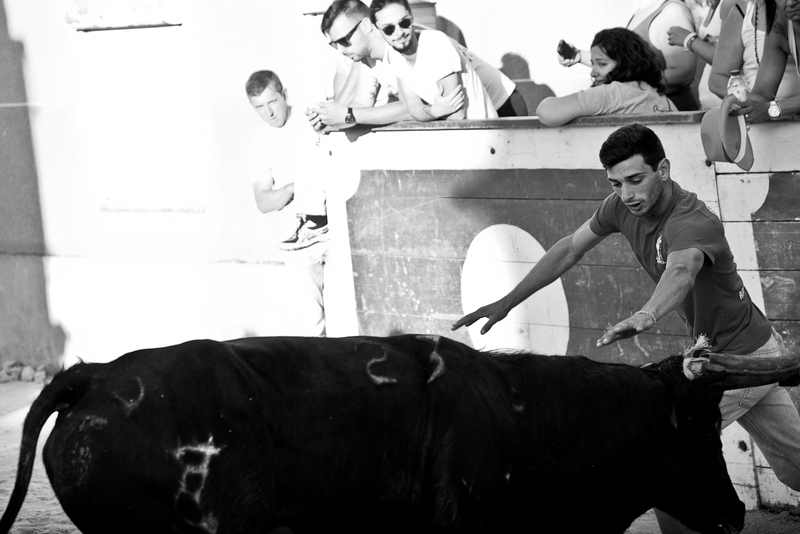 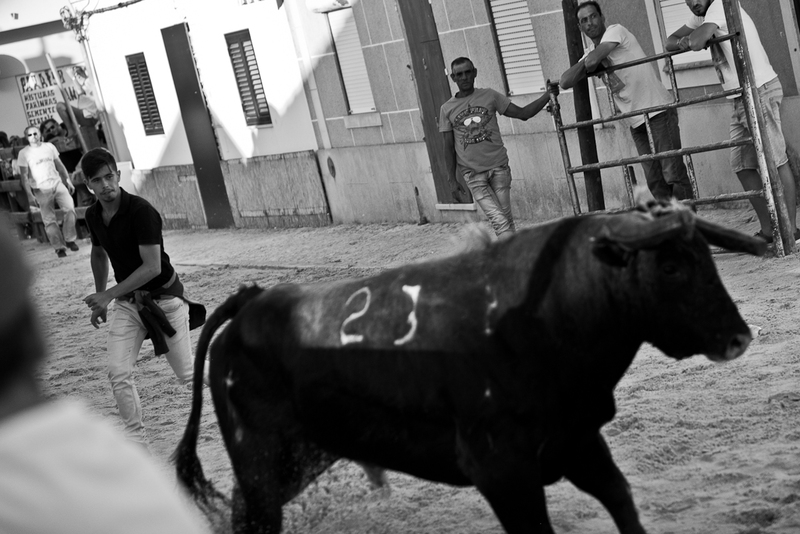 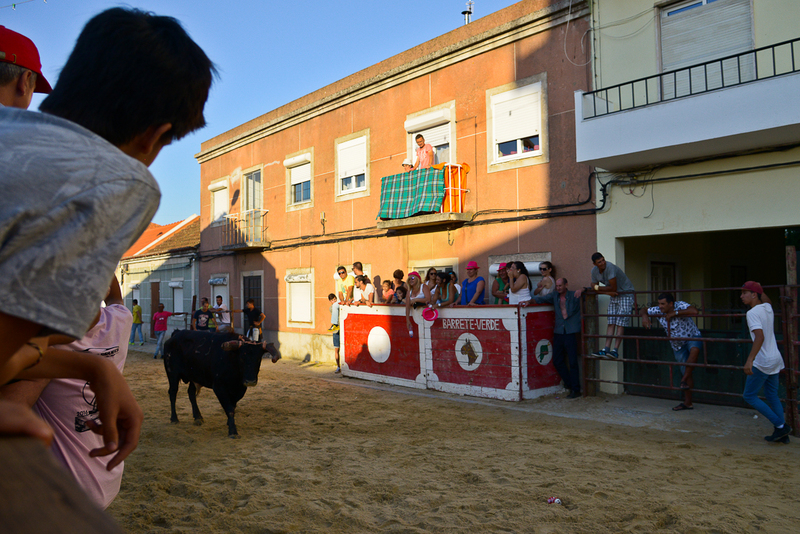 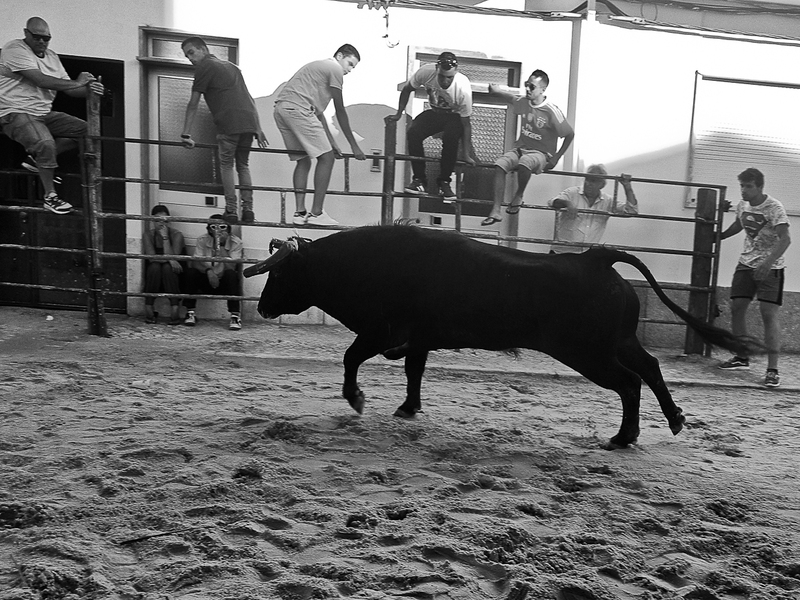 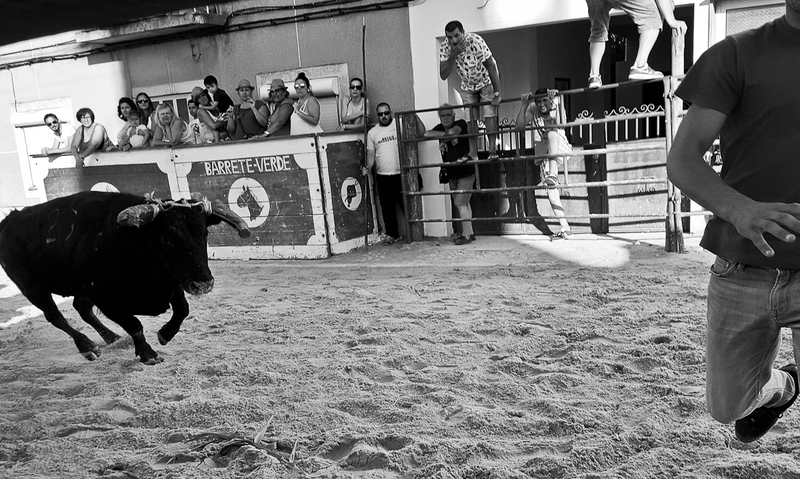 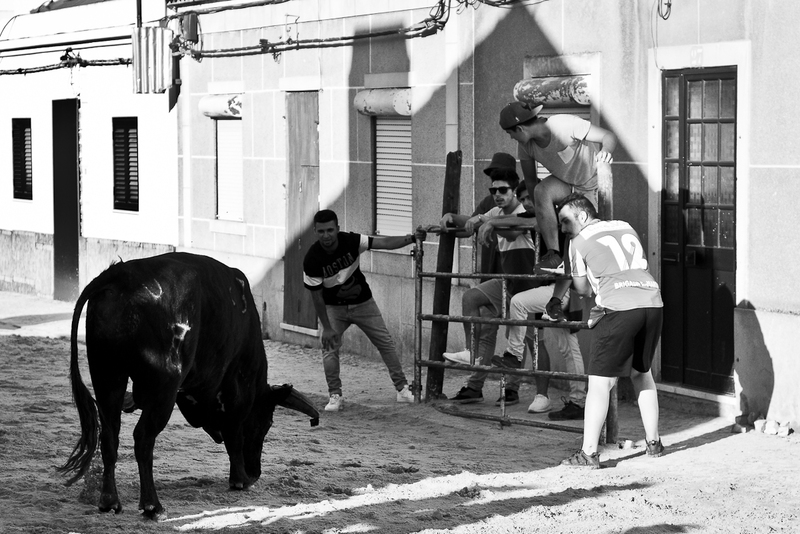 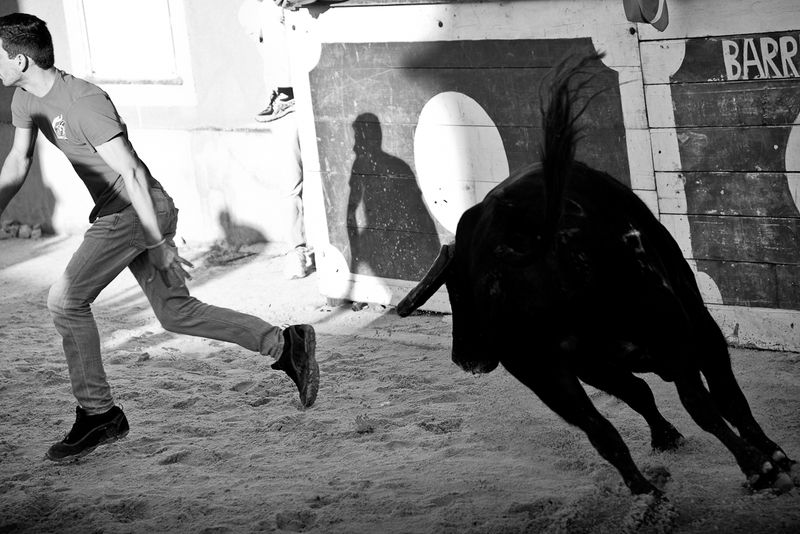 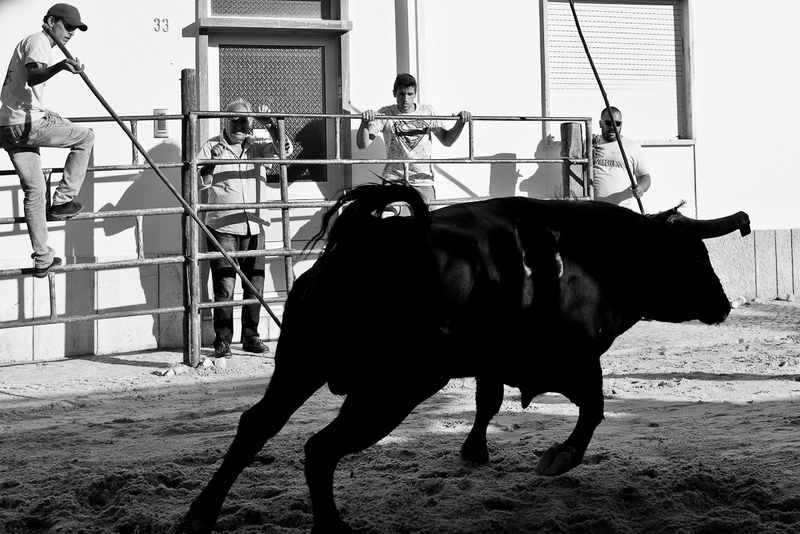 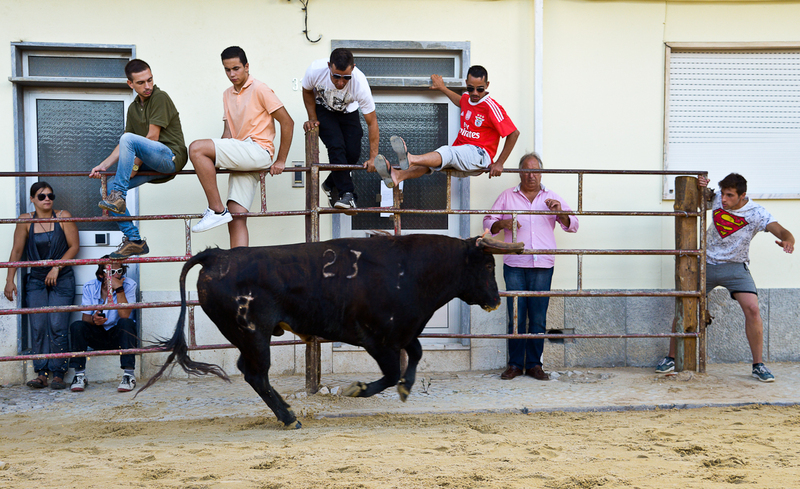 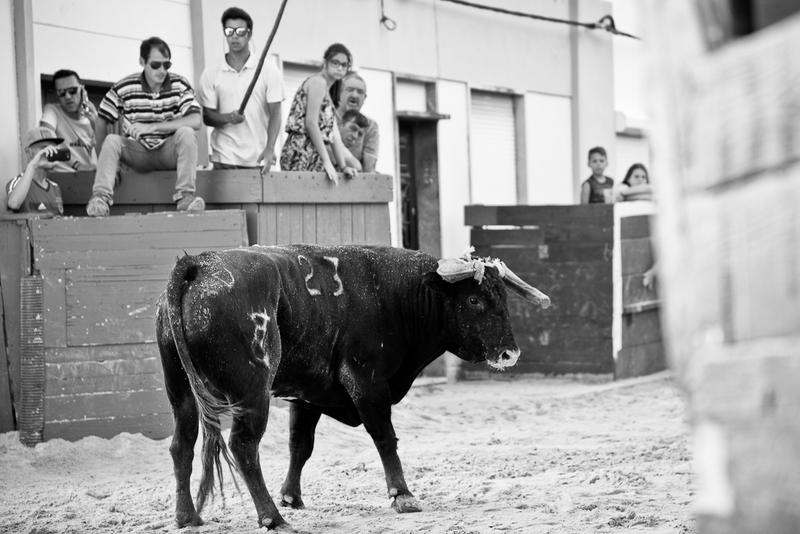 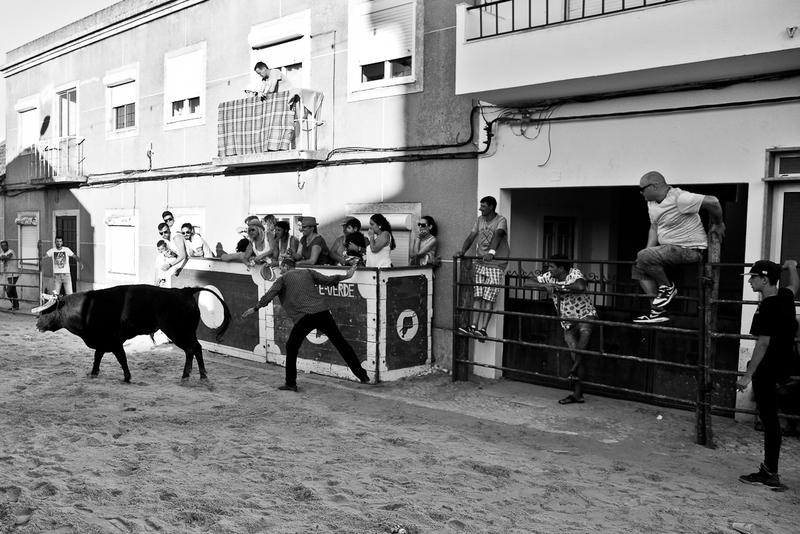 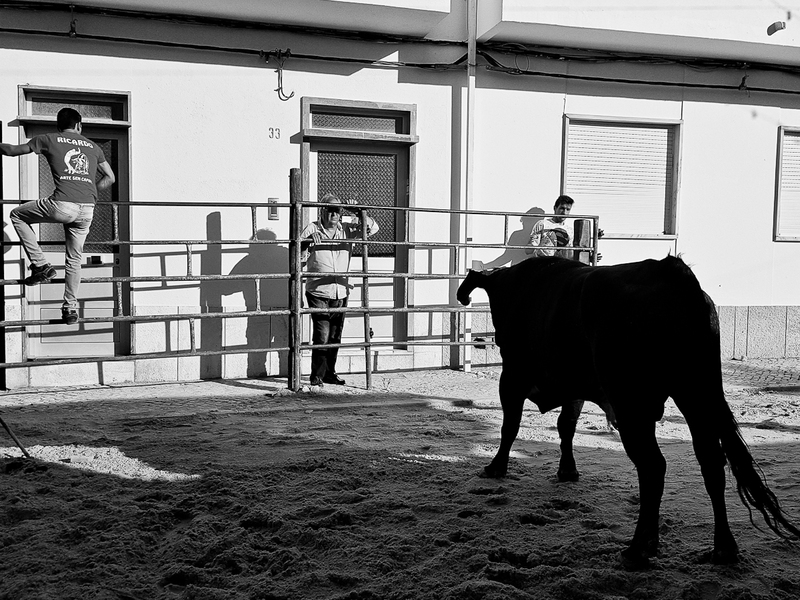 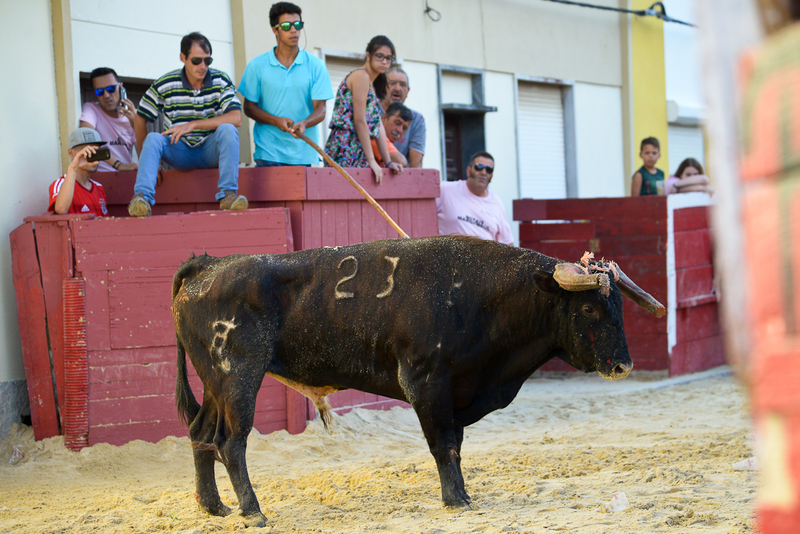 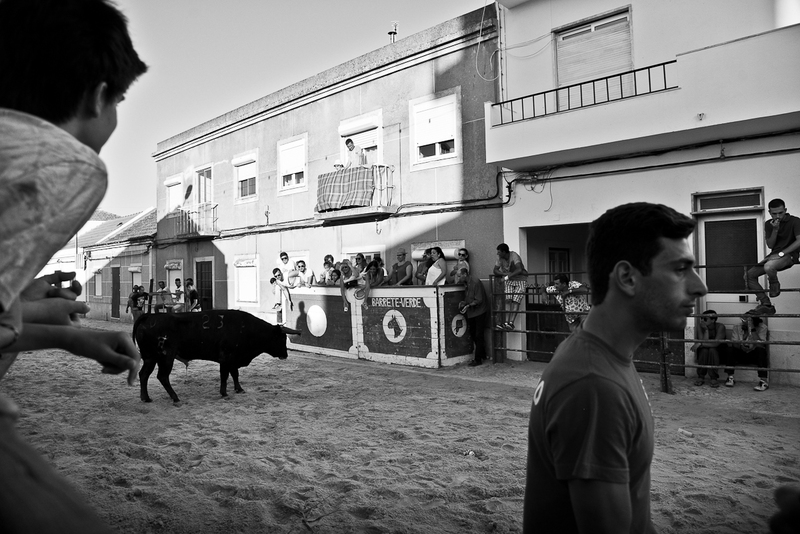 The young bullfighters run around dodging the bull. 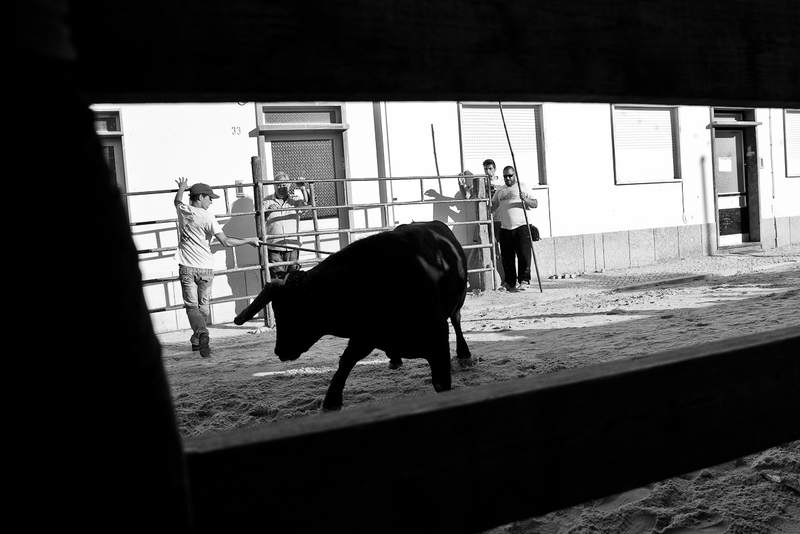 The crowd watches the show safely behind the barriers and other protected sites, serving the last refuge for those who venture to challenge the bulls.